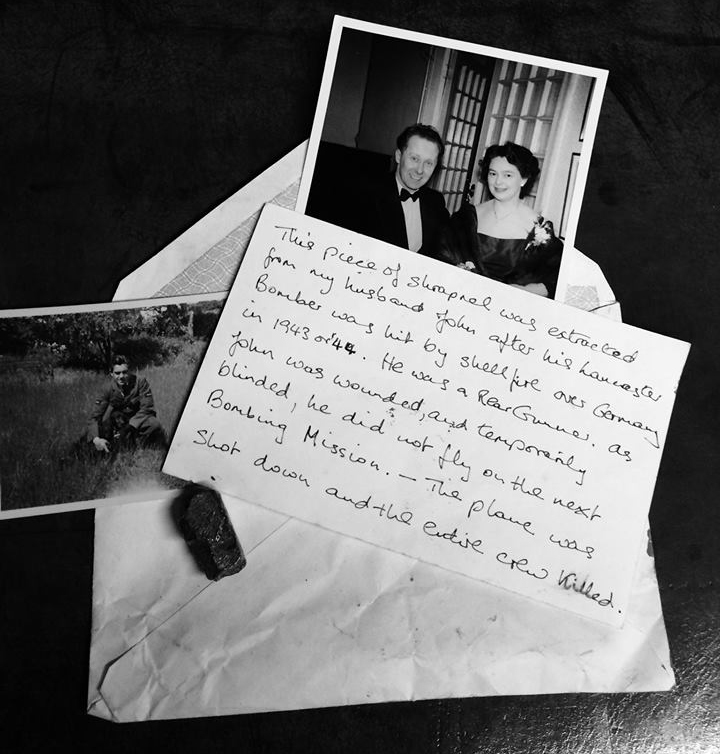 A mystery we should try to solve – Please share this…..
An interesting piece of history looking for the rightful owner and context. I was contacted by Rob last Thursday night when he sent this photograph. It was passed to him by a friend who is an antiques restorer – he found it in a small wooden box that he bought at an auction. Apart from the letter and the details that are contained within it, nothing else is known about John, the rear Gunner in the photograph, the date of his injury or the crew he flew with, or what Squadron they were with. The blog has taught me that if you put something out there – sometimes you get something back – so if you read this post, whether it be via a Facebook page, Twitter or whatever, please share this post and maybe we might achieve the seemingly impossible and find out more details or perhaps even, return this to a family member.